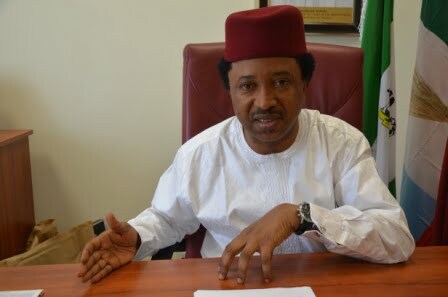 Senator Shehu Sani (APC, Kaduna Central) has lambasted seven governors of the All Progressives Congress, APC, for asking President Muhammadu Buhari to re-contest in 2019. Nasir el-Rufai (Kaduna), Abdullahi Ganduje (Kano), Yahaya Bello (Kogi), Abubakar Bello (Niger), Simon Lalong (Plateau), Ibrahim Geidam (Yobe) and Jibrilla Bindow (Adamawa), had on Friday visited Buhari at the Presidential Villa in Abuja asking him to seek re-election. El-Rufai told journalists after the meeting: “We believe in Mr. President, we want him to continue running the country in the right direction. People can speculate about 2019; we have no apologies”. He added that the governors were interested in “continuity and stability”. But Sani said the endorsement despite the killings going on in several parts of the country was unfortunate, adding that the leaders had no conscience.